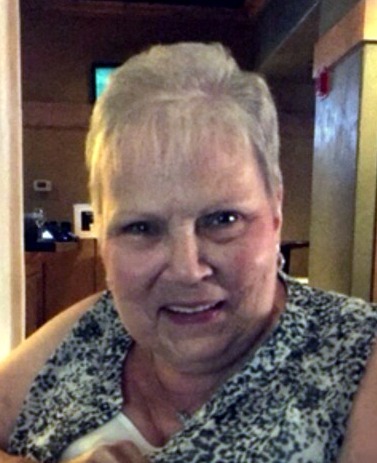 FUNERAL 12 PM TUESDAY 22 JAN.
Rita Jean Wibel, age 75, of St. Paris, OH, passed away on Wednesday, January 16, 2019 at 11:48 p.m. in Kindred Hospital, Dayton, OH. Born on June 18, 1943 in Piqua, Rita was the daughter of the late Harold and Florence Jean (Pond) Brown. She married Howard C. Wibel on June 18, 1966 and he survives in St. Paris. Rita is survived by her two children: Kellee (April Arnold) Wibel of Greenville and Jason (Mary) Wibel of St. Paris; two grandchildren, Amanda and Logan Wibel; and one former step-granddaughter Ellia Sliwiak. In addition to her parents, her brother, Dale Brown, preceded her in death. Rita was a 1961 graduate of Graham High School. She attended the First Baptist Church of St Paris and belonged to various Bible study groups. Rita worked as a Librarian at the St. Paris Library. She also worked for Drackett of Urbana, Copperweld of Piqua, Wal-Mart of Urbana and the Honey Factory in St. Paris. She was a member of Friends of the Library, Spring Grove Cemetery Board, Pythians Sisters, St. Paris Antique Study Club, Eastern Star Chapter 530 of Urbana, St. Paris Red Rubies Red Hats and a 10 year 4-H Advisor for Dolly’s Dolittles. She enjoyed tutoring and reading with Graham Elementary students. Rita and her husband, Howard were the 2016 Grand Marshalls for the St. Paris Pony Wagon Days. Funeral services will be held on Monday, January 21, 2019 at 12:00 p.m. in the Atkins-Shively Funeral Home, 216 S. Springfield Street, St. Paris, Ohio 43072 with Reverend Dr. James VanZile presiding. Burial will follow in Spring Grove Cemetery, N. Heck Hill Rd, St. Paris, OH. Visitation for family and friends will be held on Sunday, January 20, 2019 from 1:00 pm to 4:00pm in the funeral home. Donations in memory of Rita can be made to the Graham Foundation, c/o John Steinberger, 6666 Runkle Road, St. Paris, Ohio 43072,Condolences may be made at www.shivelyfuneralhomes.com. Atkins-Shively Funeral Home, Saint Paris, Ohio is serving the family.